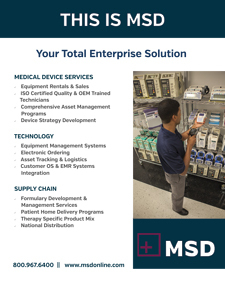 Our bedside discharge expertise coupled with our mobile POS solutions will allow you to increase outpatient pharmacy revenue and patient compliance! 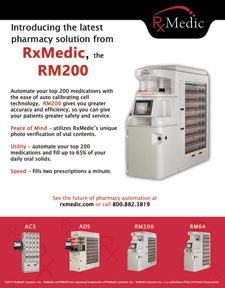 Reduce waste, shrink cost, and improve processes with true pharmaceutical-grade performance. 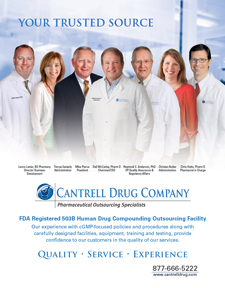 Our experience with cGMP focused policies and procedures along with carefully designed facilities, equipment, training, and testing provide confidence to our customers in the quality of our services. 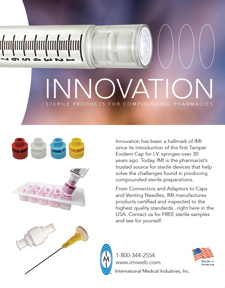 Innovative Sterile Products for Compounding and Hospital Pharmacies by International Medical Industries, Inc.
Increase pharmacy productivity and safety with high-quality and economical sterile products designed to meet the demands of sterile compounding. 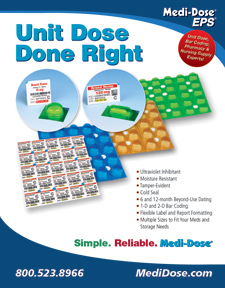 Easy-to-find and easy-to-order through IMI or one of our valued distribution partners. 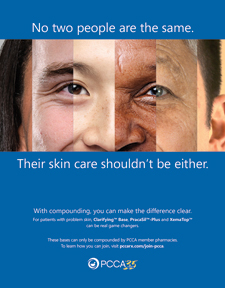 Dermatology medication needs to be as unique as each person's skin, and compounding can help. 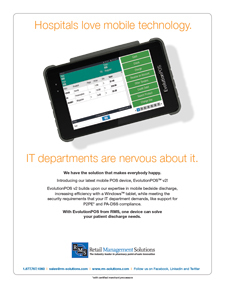 Realize financial and operational gains while better serving the needs of your patients. 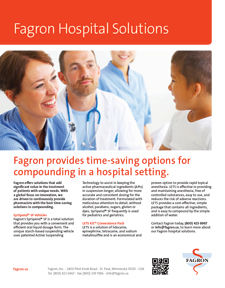 Through Fagron's convenient, time-saving compounding solutions, you can provide tailor-made pharmaceutical patient care in just minutes. 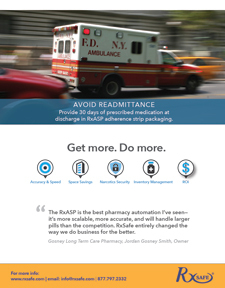 Improve facility operations with Acute Care Pharmaceuticals' Pharma-Choice™ Brand of products. 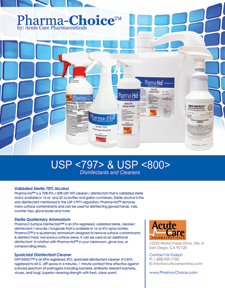 Acute Care Pharmaceuticals offers a full line of disinfectants and cleaners that are specifically designed to maximize the cleanliness of your sterile compounding areas. 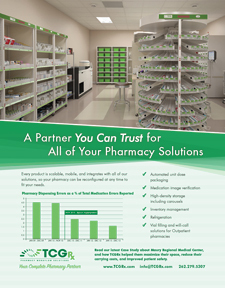 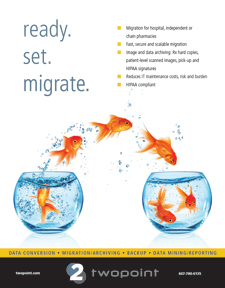 For 26 years Two Point has been the premier migration provider to pharmacies and hospitals across North America. 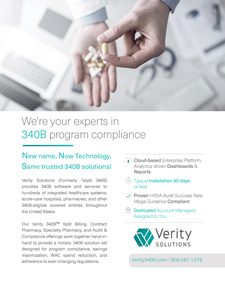 Our specialists bring years of experience to every conversion, ensuring accurate, reliable, and secure conversions for independents, chains, and healthcare systems. 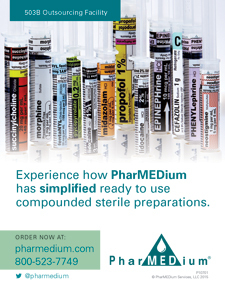 PharMEDium is the national leader in customized pharmacy sterile compounding for hospital intravenous and epidural therapies. 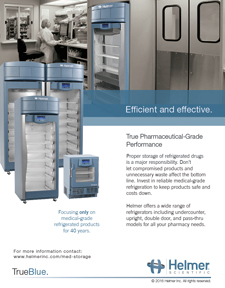 PharMEDium has been committed to developing quality processes that facilitate the highest level of safety. 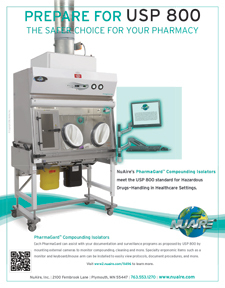 Evolve compressor-free refrigerators are designed to meet the stringent guidelines for controlled storage of pharmaceutical drugs, vaccines, and medical devices. 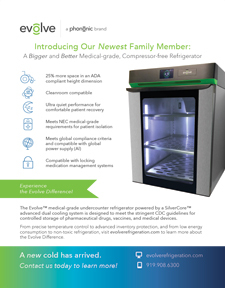 Evolve delivers accurate temperature control, superior reliability, remote monitoring, and whisper-quiet operation. 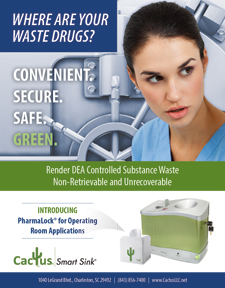 Cactus® Smart Sink® and PharmaLock® systems bring your hospital into proper waste compliance for remaining portions of DEA Controlled Substances. 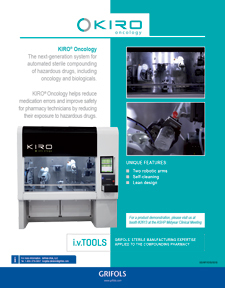 This industry-leading Go Green system can be installed anywhere medications are administered to patients. 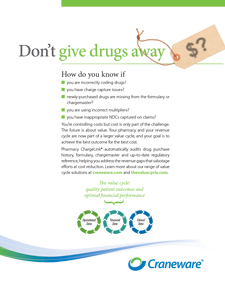 Pharmacy ChargeLink is a powerful software solution that ensures pharmacy data is accurately represented in both the chargemaster and hospital pharmacy system so that hospitals receive optimal reimbursements for their pharmaceuticals.